Do You Like Beer, Are Artistic, and Live in Alberta? Here is a cool contest that came across my email. The Alberta Beer Festivals has a contest to have someone design a label for a beer specially made for their Craft Beer Festival. You have to be an Alberta resident to apply for this contest, but it would be cool if BC Craft Beer organizers also did something similar here. 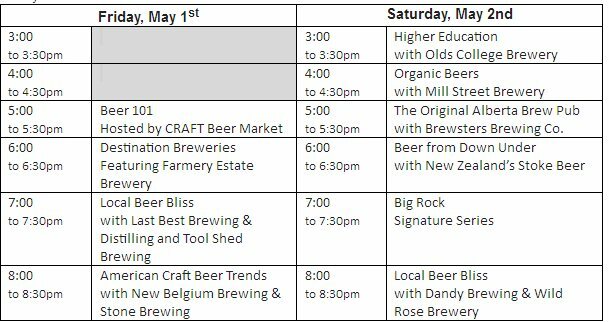 If you are from BC and traveling to Calgary in May, or to Edmonton in June, why not try to go to one of these beer festivals? Here is the press release from the Alberta Beer Festival. Every year, Alberta Beer Festivals partners with the Olds College Brew Master Program to brew a beer to celebrate the Calgary International Beerfest (May 6/7) and the Edmonton Craft Beer Festival (June 3/4). This year, ABF is holding 3 separate contests to help us CHOOSE the style of our beer, then NAME the beer, and finally design the beer LABEL for the beer. Click HERE for a list of awesome prizes you could win! Last week’s contest helped us name the beer and the winning name is RALE YARD RED ALE! Congratulations Tamara Konrad of Edmonton, Alberta who wins some great prizes for having her name chosen. Thank you to everyone who participated! Now that we have a name, it’s time to Label It! Submit your label design before noon on March 4th, 2016 to be entered to win! Design the LABEL for the official 2016 ABF beer and win! Alberta Beer Festivals wants you to design the beer label for its official 2016 beer. The winning entry will receive a fantastic prize pack, including an invitation for them and a friend to be beer judges at the Calgary International Beerfest. The winning entry will be showcased at the Calgary International Beerfest in May and at the Edmonton Craft Beer Festival in June. The winner will also be invited to be part of the team that brews the beer on March 9th, the media launches in both Calgary and Edmonton in April, and will be featured in an article in Branded Magazine! Contest open to all Alberta residents. 2015 Calgary International Beerfest – Brew Master Seminars Schedule Announced! Are you in Calgary, or plan to be in Calgary the May 1st weekend? Do you like beer, or like to learn more about beer? Then you should attend the Calgary International Beerfest. Details about the Brew Master Seminars are below. Cheers! Calgary, AB (April 23, 2015) The Brew Master Seminars, hosted by CRAFT Beer Market, are back at the Calgary International Beerfest this coming May 1st and 2nd in the BMO Centre on Stampede Park. “The Brew Master Seminars are a fantastic opportunity to hear the history of different breweries and the creativity that goes into each of their beers. And the best part is that you get to sample the beers as you hear about what makes them special,” says Rob Swiderski, Operating Partner of CRAFT Beer Market. Get the inside story about craft beer straight from local, national and international sources while sampling some of the beer they brought just for you to try! All guests of these seminars get to sample the beers that are being discussed, and Beer Geek VIPs get into one seminar of their choice free (seminars are 2 tokens otherwise). Tickets available at all Brewsters, Sobeys Liquor, and Sobeys Grocery stores, as well as online at www.albertabeerfestivals.com. At Alberta Beer Festivals, we strive to educate our fellow Albertans on all things beer related! Part of what we do is promote craft beer created in our own back yard, in addition to creating a brew culture with positive experiences for everyone.